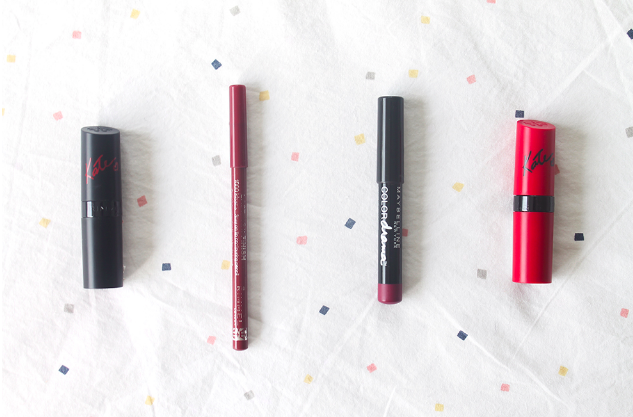 Favourite Berry Lip Colours | emma etc. 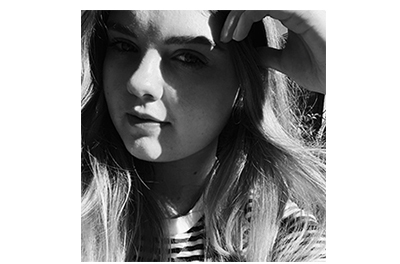 It's been a while since beauty has made an appearance on this blog, so I thought I'd tell you a bit about my favourite berry lip colours because it's winter time here in New Zealand and I'm really feeling the dark lip look. Rimmel Lasting Finish By Kate Lipstick in 30: A pinkish dark purple (looks lighter in the photo because of the glaring light). This is something I picked up when I was in Hawaii because I thought it looked like a nice winter shade. This is actually quite similar to the Maybelline Colour Drama in Very Berry (which will be mentioned in this post) in the tube, but on the lips it's more pinkish and brighter and doesn't have a matte formula. Rimmel Lasting Finish 1000 Kisses Lip Liner in 063 Black Tulip: A dark brownish purple which actually goes pretty well with the Rimmel 107 Lipstick blended in to give a more long lasting look. The 107 looks much redder in the photo but they're quite a good match. This lip liner isn't too drying, I personally don't use it all over, only on the edges of my lips and blended with the 107 Lipstick. 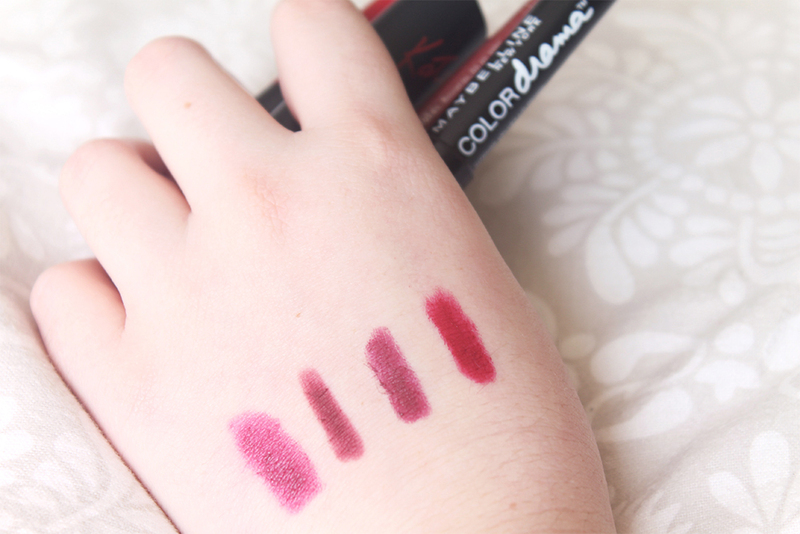 Maybelline Colour Drama in Very Berry: A dark purple. I love this so much, the colour and the formula. Unfortunately there's not really any other colour in the range that I'd really want at the moment, maybe apart from the Minimalist one but I don't know how pale that is, I'd have to go out and swatch it. There's hype over these for a reason, they're really good and fairly matte. Rimmel Lasting Finish By Kate Lipstick in 107: A berry/dark red which can look slightly purple in different lights. Ah, the famous 107, which is a cult product and it's for good reason. This one is matte unlike the Rimmel Lipstick in 30 which I've mentioned. I love the look of matte lips and this one isn't too irritating or drying. Rimmel lipsticks in my opinion are really good overall. What are your favourite berry/winter lip colours?